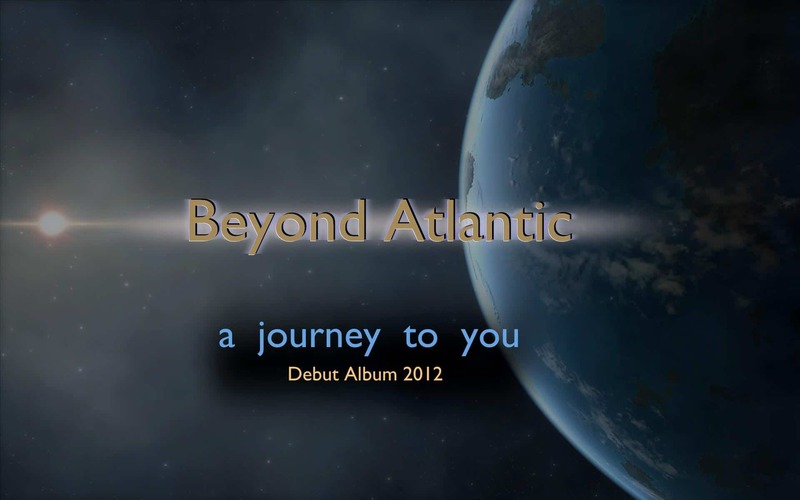 The band known as Beyond Atlantic was the brain child of Bernd Will, a multi-talented musician located in Nuremberg, Bavaria. Inspired by 1980s style rock, Bernd began composing new adult contemporary rock songs. He joined a popular music collaboration website so that he could further develop his songs and found Suzann Baldwin, a Washington State poet, who had just begun writing for the site. Bernd discovered that Suzann had the uncanny ability to fill his vocals lines – mash-ups of existing song lyrics designed merely to convey his ideas for a melody – with fresh new lyrics that fit the mood of the music. The pair began collaborating and attracted the guitar stylings of another German – and another Bernd – Bernd Kunrath, who began to add his skillful riffs and solos from his home studio north of Stuttgart. Female vocalist Delyn soon followed with some backing tracks for some early songs and an expression of interest for more involvement should the right songs come along. After penning some 25 song lyrics and singing in 40+ collaborations overall, Mike Ousey was beginning to feel that he would never find a home for his voice amongst the metal and the pop. But within days of singing Suzann’s lyrics to the Bernds’ music, it was clear that he had found the creative outlet he had been looking for. The chemistry of the group spurred Bernd Will to produce a full-length release, a real website, a real indie marketing push, and a serious attempt to win musical influence in the world of melodic rock/AOR and adult contemporary music. Debut album will be releaseed in July 2012 over Amazon, itunes and other online stores. The band is about to create video footage for youtube and vimeo next to raise its fanbase.